The most common hair condition is hair loss. 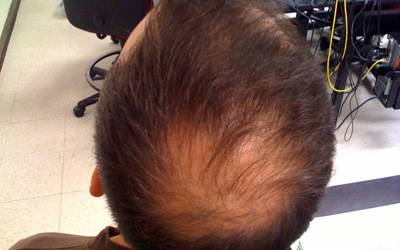 There is male-pattern baldness, female-pattern baldness, and androgenetic alopecia. Hair loss can cause gradual thinning, bald patches and even complete baldness. If hair loss begins suddenly, it can be caused by illness, diet, medicine, or childbirth. If it is gradual, it may be hereditary hair loss. Even the way you style and care for your hair can create hair loss. It can be treated with medicines, shampoos, and other procedures. Concerned about unusual hair loss? We can help – call today! Scalp psoriasis forms the same way as all forms of psoriasis, by a person’s immune system sending false signals to skin cells telling them to grow too quickly. Scalp psoriasis is identified by reddish patches, dandruff-like flaking, dry scalp, itching, bleeding, burning sensation, or temporary hair loss. This can be treated with medications, shampoos, and sometimes injections.